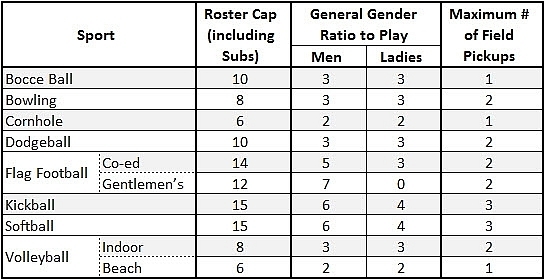 Each sport has a unique Roster Limit, Gender Ratio, and Number of Subs. 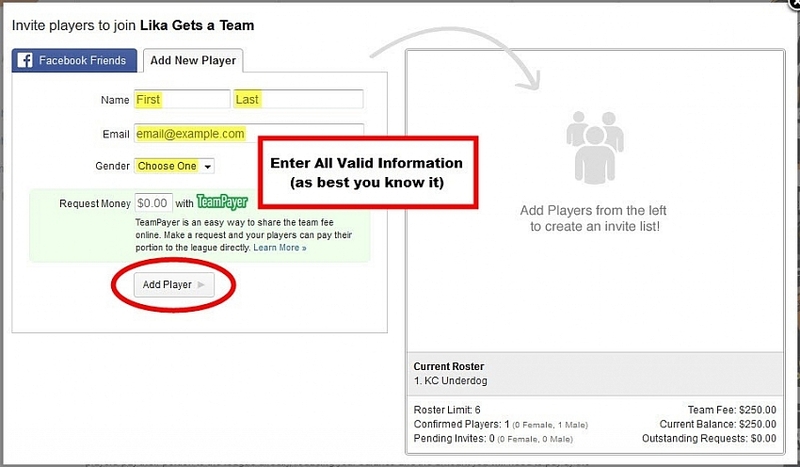 Each additional Accepted player above the limit on your team's roster will result in a $15 fee. Underdog will notify the Captain of this fee prior to charging the card on file. 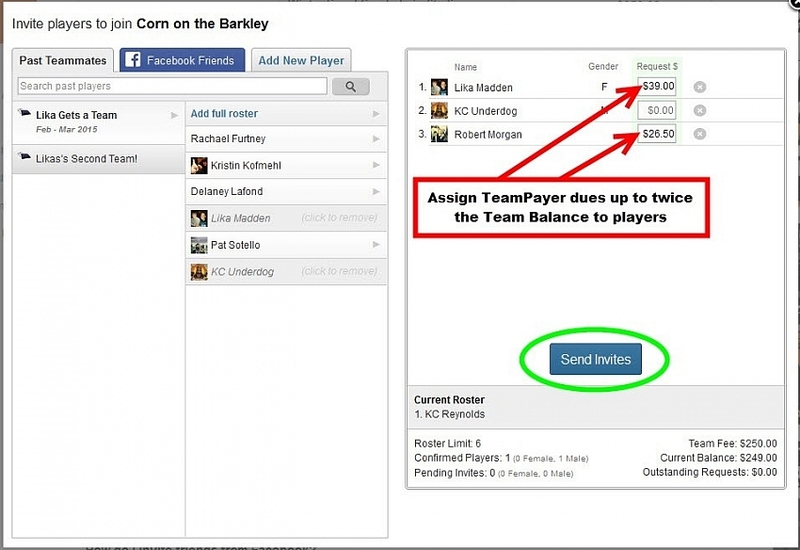 When your roster reaches or exceeds the Roster Limit, your Captain’s Panel will show a Warning. 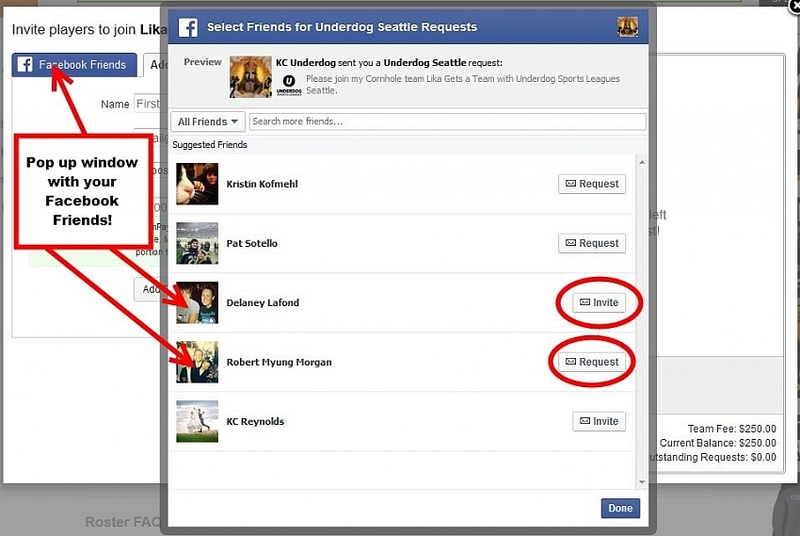 You can invite your Facebook Friends (after you "Connect your Profile") to your Underdog team! 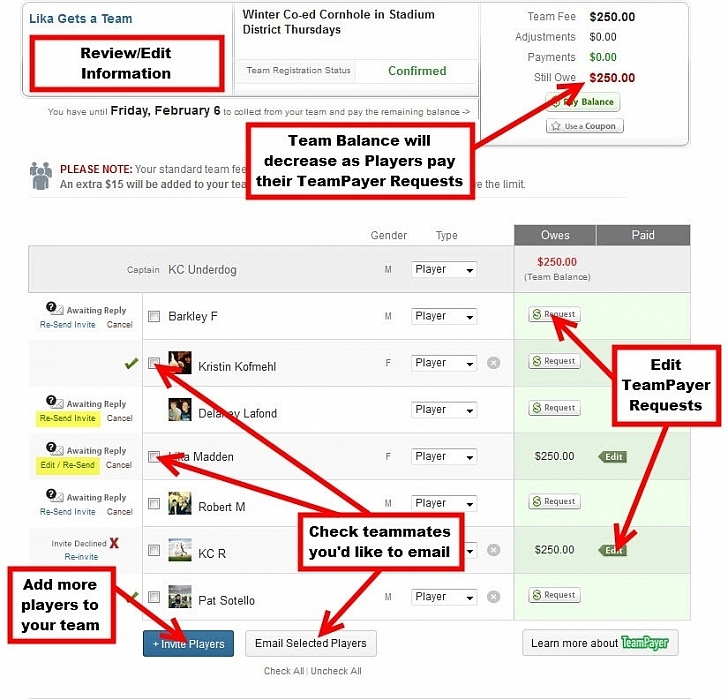 Check out the Team Uniforms page for more information. 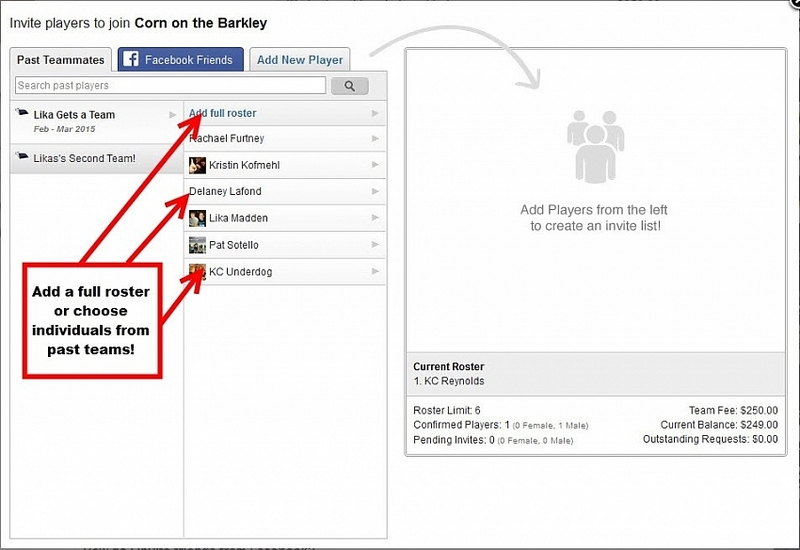 Check out the Captain’s Corner page for more information on your next steps as Captain.